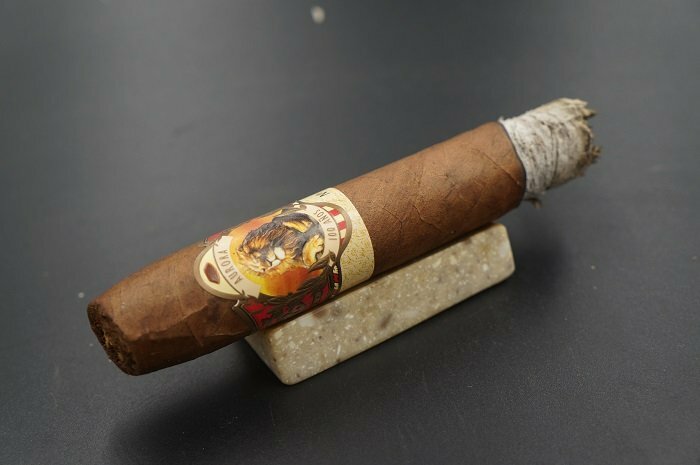 The wrapper on the La Aurora 100 Años Belicoso is light brown and has some darker marbling. There are a fair number of veins present with some of them slightly raised. 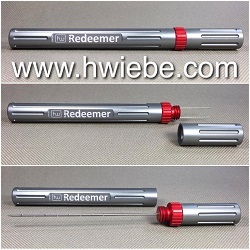 The seams are smooth but visible due to color variation and vein placement. 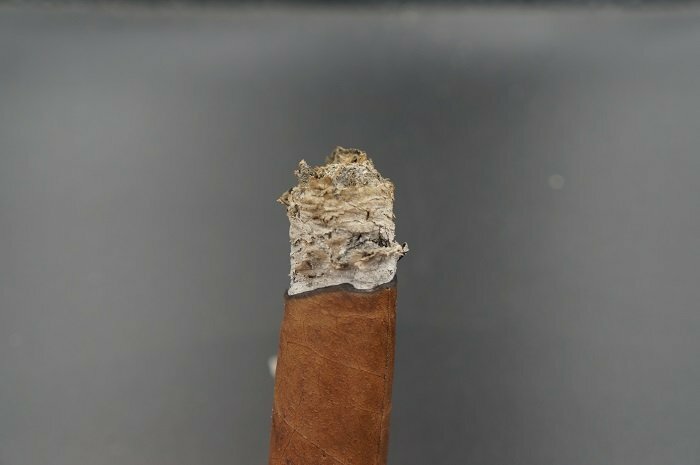 The Belicoso head is finished off with a slightly wrinkled set of caps. 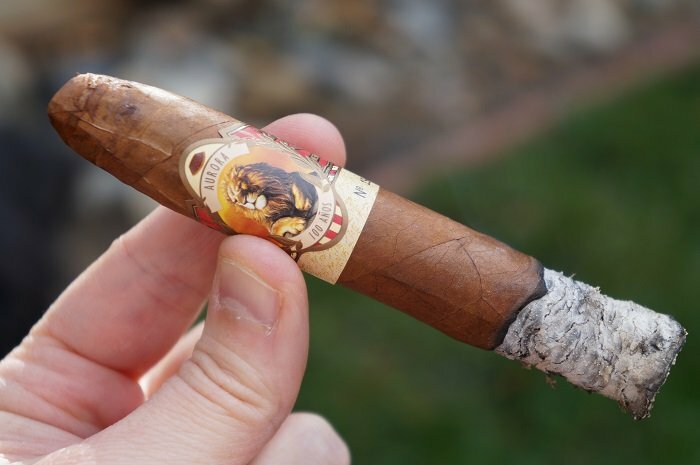 The band has the iconic La Aurora lion on the front with the brand and line name surrounding it. There is some red and gold artwork on both sides along with a serial number for the cigar. The aroma from the wrapper is a mix of hay and wood while the foot brings wood and wheat bread. The pre-light draw brings a nice floral note along with some hay. There is a very mild spiciness on my lips. 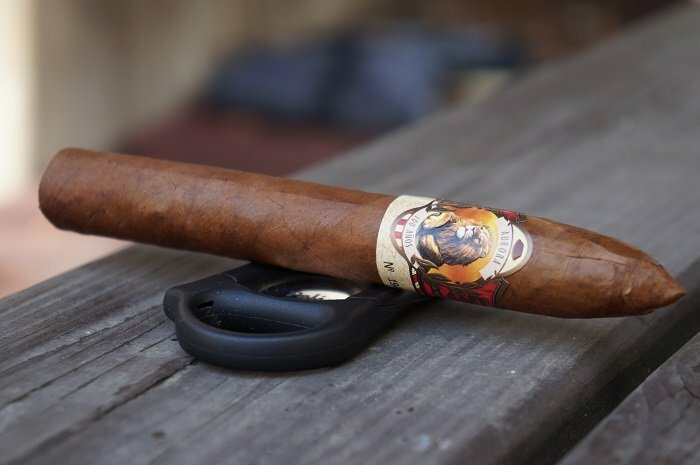 The La Aurora 100 Años Belicoso has a primary band, along with a secondary band tucked underneath. 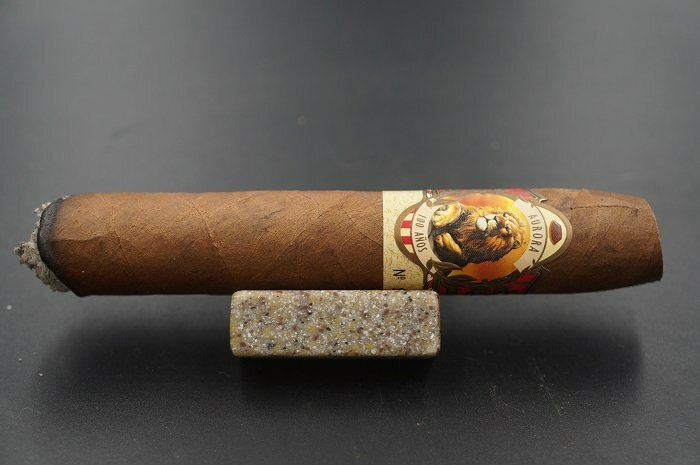 The primary band is the classic La Aurora design with a lion in the center, and a complex design including colors of red, gold and white with gold accents. 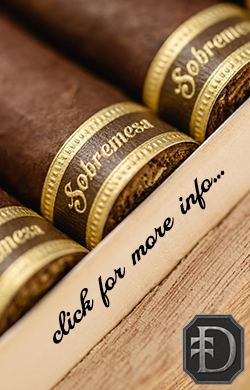 The secondary band indicates that this is cigar ‘No 194410’ in black font against gold and brown background. The cigar has a chocolate brown wrapper, with firmly pressed veins. 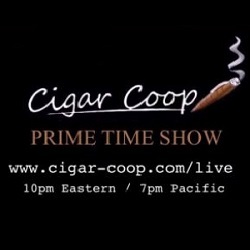 The shape is a Belicoso, with what appears to be press lines on either side of the cigar. Nosing the wrapper, I’m able to smell sweet mint, hay, light chocolate and tobacco. In the foot, I picked up a tobacco and raisin combination. 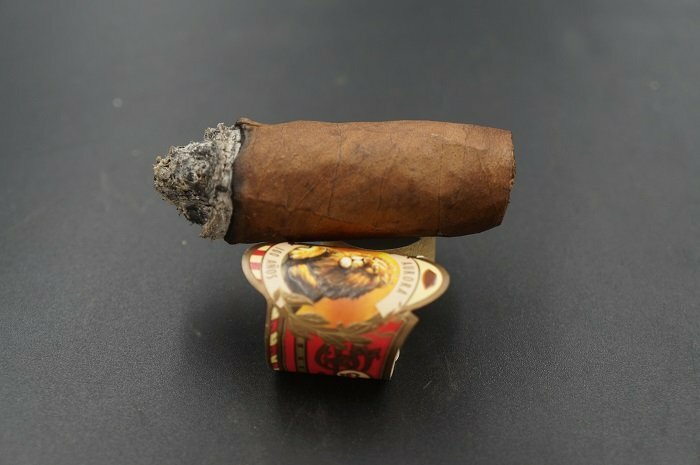 The La Aurora 100 Años Belicoso has an oily medium brown wrapper. Feel and look is great as veins are well pressed, seams tight, bunch and roll even and Torpedo style head finished off with a deep wrap. Aromas from the wrapper tell cedar, chestnuts and hay. Aromas from the foot give a balanced black pepper spice, plums and cedar. Cold draw gives sugar cane sweetness, ripe cherries and hay. The cigar begins with a nice mix of cedar, cream and medium roast coffee. At three quarters of an inch in, the cedar and coffee are up front with the cream slightly behind. The retrohale has the coffee up front with the cedar and cream in the background. At an inch and a half, the cedar takes the lead with the cream slightly behind while the coffee is now fairly faint in the background. As the third comes to a close, the cedar gains some char while the cream and coffee are now very faint. The strength in this third was slightly below medium. Sweet cocoa, with mild hay to open the first third. The retrohale flavor profile builds on that foundation with a mid layer of medium spices, and the cocoa carries into the post draw. 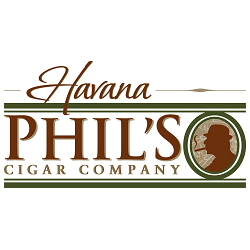 The cigar continues to gain complexity becoming sweet and creamy, with chocolate and then spicy wood to finish. The spice is intensifying on the post draw as the first third progresses. At the halfway point, some citrus joins in, and post draw cedar takes on a tannic quality until the end of the third. The first third basically has all the right flavors for me. Lots of sweetness within sugar cane mixed with bread. Also, there’s a jam like sweetness from over ripe prunes. Spice is on the lighter side providing a well accented black pepper spice. In terms of earth, a layered cedar and hay. 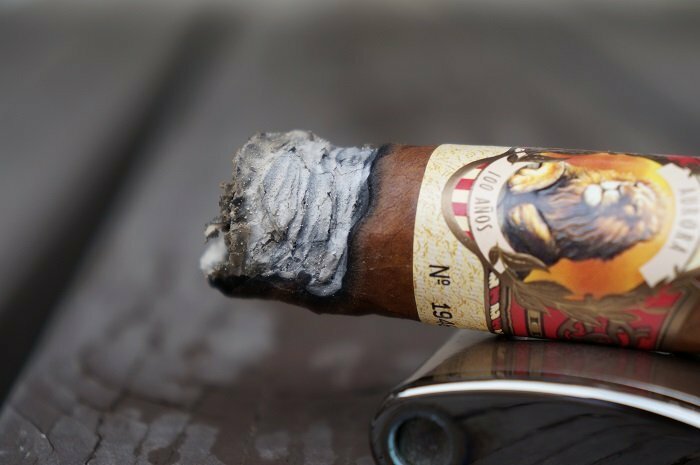 Retrohaling the cigar brings an abundance of creamy bread, nuts and elevated black pepper. The finish is namely a lingering dried nuts. Strength and body is medium. As the second third begins, the cream and coffee increase a bit while the charred cedar is still up front. At a half inch in, the char has eased up on the cedar while the cream is right behind it. The coffee is back to being very faint. At an inch and a half, the retrohale has the cedar, cream and coffee all at equal levels. The third finished with the slightly charred cedar, cream and faint coffee note. The strength in this third bumped up to medium. There is a mild toasted quality going into the second third. Citrus is still in the profile, as well as light plus spices on the retrohale that carry into the post draw. Once the second third has settled in, medium strength cocoa carries the profile. The second third shows more cedar and black pepper influence. But the core profile is still very creamy and sweet, giving it the same sugar cane like sweetness, bread, but loses out on the jam like prune sweetness. Strength and body remains medium. As the final third begins, the cedar gains a toasted note with the cream slightly behind. 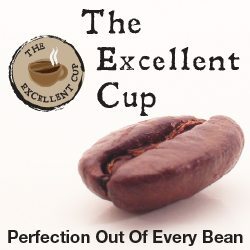 The coffee has dropped out of the profile. At a quarter inch in, a floral note joins the profile. At an inch in, the toasted cedar is up front with the cream and floral note slightly behind. The retrohale carries this same profile. 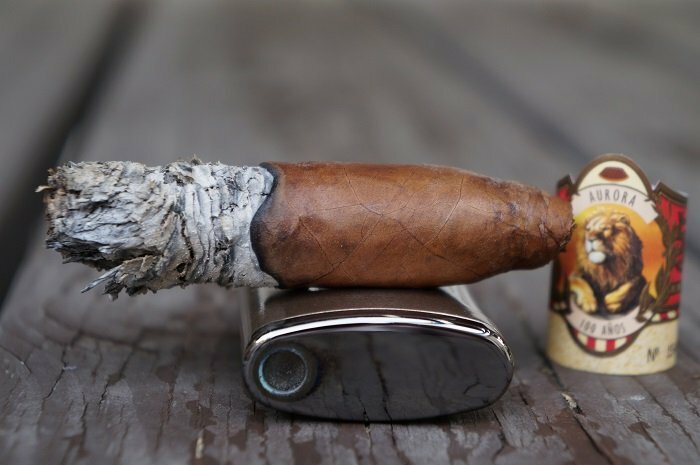 The cigar finishes with the toasted cedar, cream and floral note. The strength in this third remained at medium. Char again during the transition to the final third. The char fades out as cocoa takes over the forefront of the palate again. At the mid palate is cedar. At the halfway point of the final third, the char returns, but goes away after two purges. The last third is still showing more cedar and black pepper in the midst of the same sweet characters as the second third. As the cigar burns especially within the last 1.5 inch or so, a sharpness creeps through. But the sharpness is actually giving a nice transition and build up to the cigar. Strength and body is still for the most part medium. The burn got off a bit in the second third but self corrected. Other than that, there were no issues. The ash held on in inch and a quarter increments. The first third is slightly wavy, with the ash holding on up to 2 inches. The cigar canoes going into the middle third, but self corrects. It canoes again before the middle third is done, requiring a touch-up. The only let down of the burn was some flaky ashes falling onto the floor. Other than that, burn line was fairly sharp, temperature was cool, 1.5 inch ash retention and ample smoke production. The cigar began with cedar, cream and coffee. This profile held on for most of the way as some char, and later toast came to the cedar and a floral note joined in the final third as the coffee dropped out. Construction was great and strength was right around medium the whole way. This is a long standing blend that has stood up over time. While this re-released version may not be as good as the original, it’s still a good cigar. 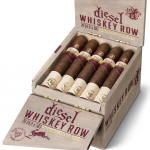 Price is a bit steep, but it’s a cigar I would gladly smoke more of. 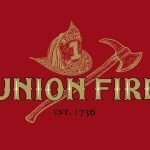 If you haven’t had an opportunity to smoke this cigar, it’s well worth your time to track down. The draw is perfect, right in the ideal zone of resistance. 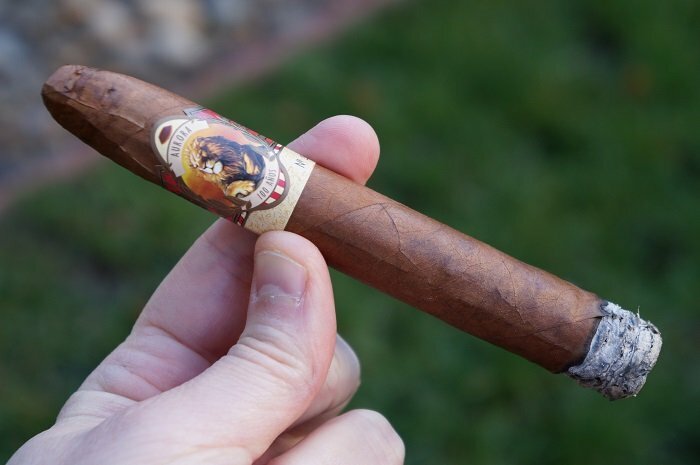 The La Aurora 100 Años Belicoso is a complex and delicious cigar, with flavors of sweet cocoa, hay, spices and citrus. 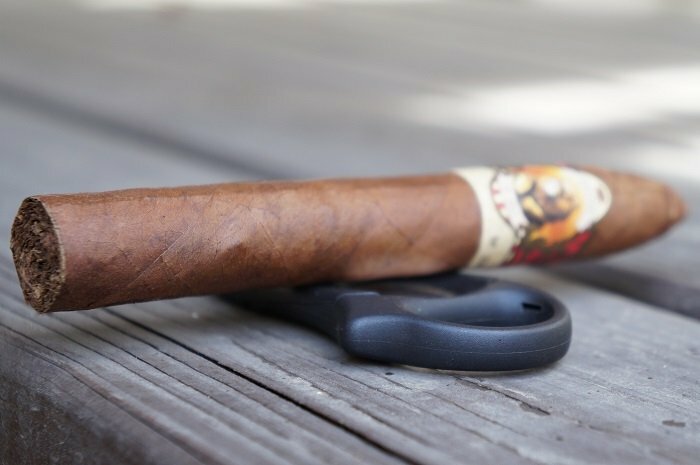 The cigar is wonderfully balanced, not particularly strong, and enjoyable right to the nub. 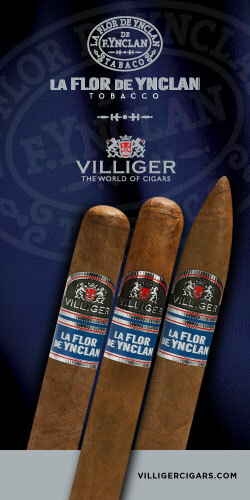 This is a shining example of a great Dominican cigar, blended with Dominican tobacco. The draw was a bit snug for my liking (even cutting to the edge of the cap). Not a big deal as it is still overall a very good draw. Once in a while I come across a cigar in which I can’t help but draw too frequently because I enjoy the flavors so immensely. The first third is the epitome of that. The sugar cane, bread, jammy prunes, cedar, hay, nuts and well accented black pepper was in a way too much of a good thing. The last two thirds were still good but I wasn’t as ecstatic about it. When it comes to Dominican tobacco, if you’re not looking towards a pricey Davidoff, this La Aurora 100 Años Belicoso is the one to go to. 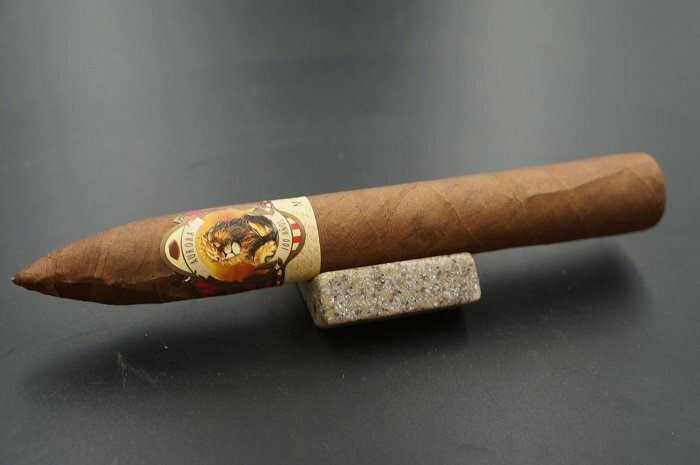 If we don’t want to succumb and pay the prohibitive Davidoff premium surcharges but also get a better and more flavorful profile on the palate, should we be looking to sample this La Aurora Belicoso offering? 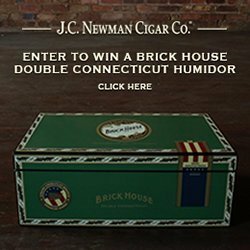 How does the Natural and Maduro Edicion Especial Robusto compare to this vitola?